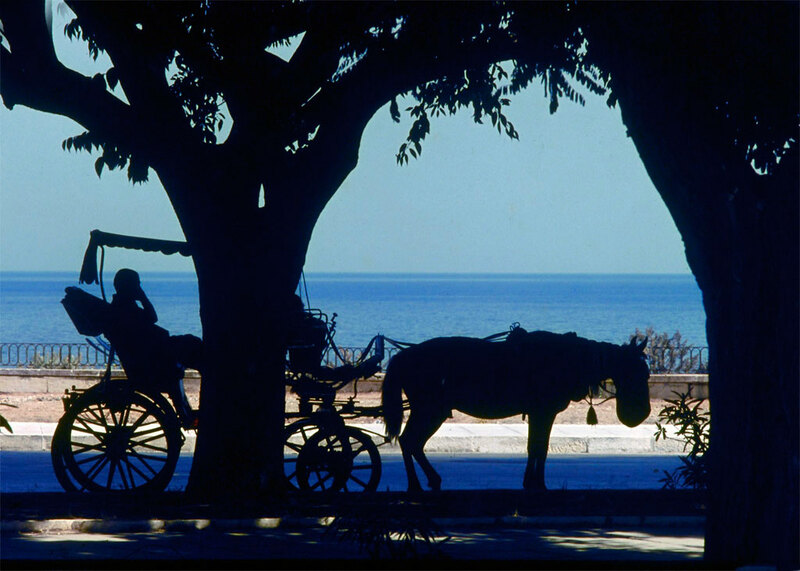 Shot in Corfu, a beautiful Greek island, the driver and his horse are resting from the strong mid-day sunlight. Their silhouettes make a strong image. Exposure is judged on the background to retain the silhouette effect.